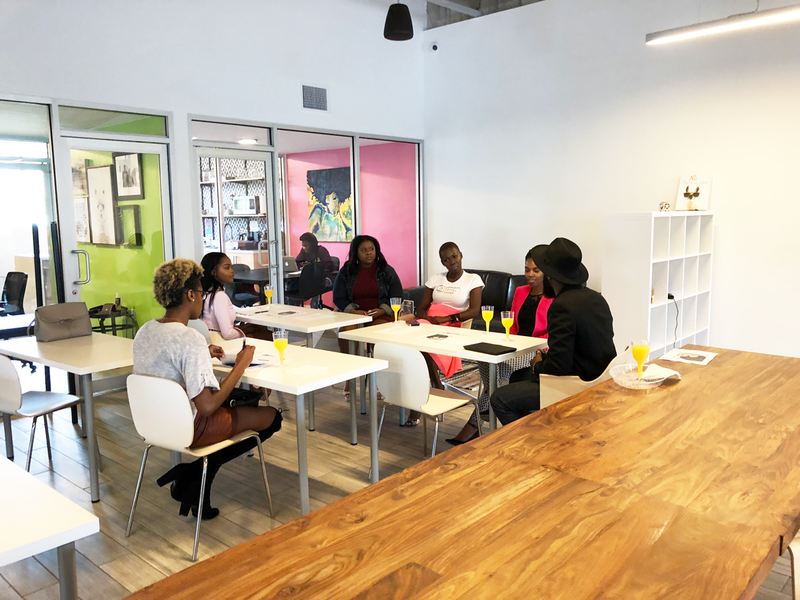 Jhonnyse Pierre – founder: Jhonnyse Inc.
Each entrepreneur discussed some of the misconceptions around being an entrepreneur and some tactical antidotes to growing and thriving in 2019. 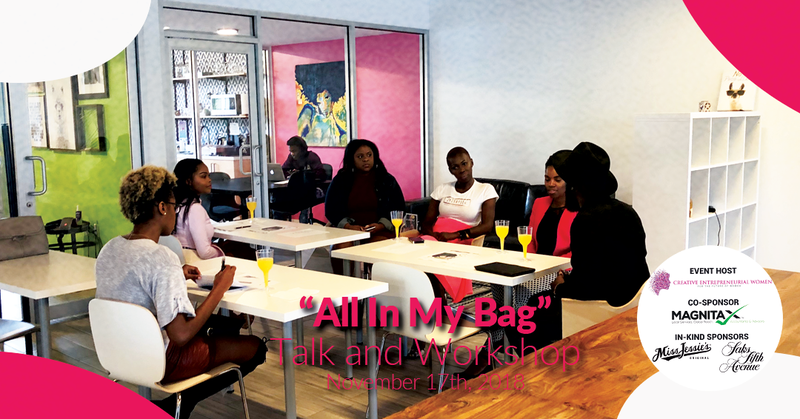 What was CEW “All In My Bag” 2018 About? The talks focus and outcome were to engage Generation Z and Millennial women entrepreneurs in the Miami ecosystem. Miami has been on the tongues of many news outlets for the Amazon HQ2 campaign but this city is more than one large company. This city is primarily comprised of mom and pop businesses and small businesses alike. Our events have been focused solely on experiences but lacked the tools necessary for women entrepreneurs to expand their businesses. A portion of tickets sales was donated to the My Seester Organization, a non-profit who focuses on supporting the women veterans. What do the numbers say about women in entrepreneurship? If you were to time travel as a woman and go back to the 1970’s and told someone; women would own one-third of all small businesses in America, they would think you were crazy. This was written in an article by the SBA in 2016. Nonetheless, I and many women like myself have made it our duty to lean-in and understand what is happening in business not only for ourselves but the women of the future. 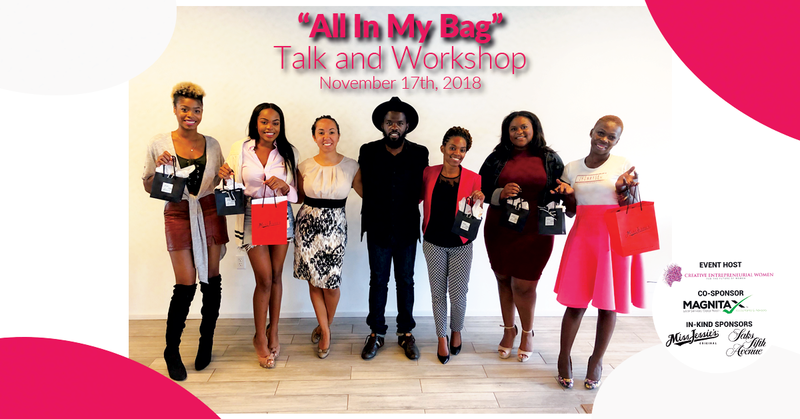 Major takeaways from the CEW “All In My Bag” workshop! With a variety of budding entrepreneurs, many expressed that they didn’t know where to begin in legitimizing their business. They mainly focused on the creative aspect of the business and making it as authentic to the brand they’re building. While creativity and authenticity are good, one takeaway was that sometimes it takes recruiting the help of others to organize the foundation of your business. Luckily for you, the sponsor of CEW “All In My Bag” was Magnitax.com. Magnitax is an accounting firm based in Maimi, Florida. Magnitax.com focuses on working with small business owners and professional services firms. A Startup Guide is available for download to ensure you have the proper information to start or shore up your small business.